Anil Ananthaswamy is a consultant for New Scientist Magazine. Science journalist Anil Ananthaswamy thinks a lot about "self" — not necessarily himself, but the role the brain plays in our notions of self and existence. In his new book, The Man Who Wasn't There, Ananthaswamy examines the ways people think of themselves and how those perceptions can be distorted by brain conditions, such as Alzheimer's disease, Cotard's syndrome and body integrity identity disorder, or BIID, a psychological condition in which a patient perceives that a body part is not his own. Ananthaswamy tells Fresh Air's Terry Gross about a patient with BIID who became so convinced that a healthy leg wasn't his own that he eventually underwent an amputation of the limb. "Within 12 hours, this patient that I saw, he was sitting up and there was no regret. He really seemed fine with having given up his leg," Ananthaswamy says. Ultimately, Ananthaswamy says, our sense of self is a layered one, which pulls information from varying parts of the brain to create a sense of narrative self, bodily self and spiritual self: "What it comes down to is this sense we have of being someone or something to which things are happening. It's there when we wake up in the morning, it kind of disappears when we go to sleep, it reappears in our dreams, and it's also this sense we have of being an entity that spans time." On how to define "self"
We can think back to our earliest memories. We can imagine ourselves in the future, and whatever perceptions arise when we remember or when we imagine, whatever emotions arise, they again feel like they're happening to the same person. So all of these things put together, in some sense, can be called our sense of self. Cotard's syndrome was something that was first identified by a French doctor in the late 1800s. His name was Jules Cotard, and it's named after him. It's a constellation of symptoms ... and the most characteristic symptom is the situation where people say that they don't exist. This is a perception that they have, and you cannot rationalize, you cannot really give them evidence to the contrary and expect them to change their mind. It is a complete conviction that they have that they don't exist. ... It's very, very paradoxical. It poses a great philosophical challenge to people who are trying to understand what it means to say "I exist" or "I don't exist." It also makes you wonder about all the other things that we are certain about, like you and I probably are very certain that we exist, well, these people are just as certain that they don't. So it makes you question about perceptions that arise in the brain and somehow, in this case, the delusion is so complete and so convincing that you really cannot shake their conviction that they are dead. What seems to be happening is that there is a network in the brain that is responsible for internal awareness, awareness of our own body, awareness of our emotions, awareness of our self-related thoughts, and in Cotard's, it seems like that particular network is tamped down. In some sense, their own experience of their body, in all its vividness, in experience of their own emotions in all its vividness, that's compromised very severely. In some sense they're not feeling themselves vividly. It's as simple as that. But, then there's something else that's happening in the brain. It seems like parts of the brain that are responsible for rational thought are also damaged. First of all, what might be happening is a perception that arises in their brain saying that they are dead because they're not literally perceiving their own body and body states and emotions vividly and then that perception — irrational though it is — is not being shot down. It really is a very disturbing condition in the sense that it's not something you would normally ever experience. ... If you look at your hand, there is no doubt in your mind that it is your hand. Now imagine you looked at your hand and it didn't feel like yours and it didn't feel like yours for 20, 30 years; it could be a very debilitating thing. It seems to be like that for people experiencing or suffering from BIID. They do take extreme measures. It's basically a mismatch between the internal perception they have of their own body and the physical body and what's intriguing and interesting in terms of the self is that what is most important for our sense of self, our bodily self, is the internal perception of it. You can look at your body and you can see your hand or leg that is fully functional, and yet if it doesn't feel like yours. The feeling is the much more important part of one's self, not the fact that you can see it and you can function with this leg. One way to kind of understand might be happening in BIID is actually to look at the converse problem. Most people by now will be really well aware of this phenomenon called phantom limbs [syndrome] where you actually have an amputation because of some unfortunate accident or infection and you lose an arm or a leg. Many people continue to feel that the limb still exists and some people even feel pain in that imaginary limb. What that's telling you is what you are perceiving as your limb is actually some representation of the limb in your brain, not the physical limb. In terms of talking about the self, what this is telling you is that the self is multilayered. There's a narrative component to it, and what Alzheimer's seems to be doing is destroying the narrative component to the point that the person really cannot recognize anyone. ... We really don't know what the situation is from the perspective of the person suffering from Alzheimer's, especially late stage Alzheimer's. This is FRESH AIR. I'm Terry Gross. You know you're alive, right? And you know that your arms are your arms and that your legs are part of your body, but people with certain rare conditions don't know these things. People with Cotard syndrome believe they are dead and don't exist. People with body integrity identity disorder usually believe that one of their limbs is alien to their body. They sometimes want that limb amputated. These rare conditions, as well as more common ones, including schizophrenia and Alzheimer's disease, distort the sense of self. Some neuroscientists are investigating what these conditions can teach us about how we form a sense of self. My guest, Anil Ananthaswamy, is a science journalist who's written a new book called "The Man Who Wasn't There: Investigations Into The Strange New Science Of The Self." He's a consultant for New Scientist magazine and is guest editor of the science writing program at the University of California, Santa Cruz. He's won the Physics Journalism Prize from the U.K. Institute of Physics and the Best Investigative Journalism Award from the Association of British Science Writers. His first book, "The Edge Of Physics," was voted Book of the Year in 2010 by Physics World. Anil Ananthaswamy, welcome to FRESH AIR. Before we talk about what neurologists are learning about what creates the sense of self, what do we mean when we use the word self in this context? ANIL ANANTHASWAMY: That's a very good question, Terry, and it's a quite - actually, a complicated one in the sense that when you ask someone - who are you? - you're most likely to get a kind of a narrative. I'm so-and-so. I'm a father. I am a son. They're going to tell you a kind of story that they have in their heads about themselves - the story that they tell to themselves and to others. And in some sense, that's what can be called the narrative self, and that's something we're all familiar with. There are also other ways of thinking about the self, like, for instance, you and I right now are probably sitting on our chairs, and we have a sense of being a body that is in one place. And we can feel the sensations in our body, but what it comes down to is this sense we have of being someone or something to which things are happening. And, you know, it's there when we wake up in the morning. It kind of disappears when we go to sleep. It reappears in our dreams. And it's also this sense we have of being an entity that spans time, so we can think back to our earliest memories. We can imagine ourselves in the future. And whatever perceptions arise when we remember or when we imagine whatever emotions arise, they, again, feel like they're happening to the same person. So all of these things put together, in some sense, can be called our sense of self, and that's what philosophers and neurologists and neuroscientists are always wondering about. So, you know, how does the brain create this very, very complex self? GROSS: ...Which is something a dead person couldn't actually do. Would you describe the symptoms of this condition? ANANTHASWAMY: Yeah, so this Cotard syndrome was something that was first identified by a French doctor in the late 1800s. His name was Jules Cotard, and it's named after him. It's a constellation of symptoms, and like you pointed out, the most kind of characteristic symptom is the situation where people say that they don't exist. This is a perception that they have, and you cannot rationalize. You cannot really give them evidence to the contrary and expect them to change their mind. It is a complete conviction that they have that they don't exist. And, you know, in some sense, you're right. It's very, very paradoxical. It poses a great philosophical challenge to people who are trying to understand what it means to say, I exist, or, I don't exist. It also makes you wonder about all the other things that we are certain about. Like, you and I are probably very certain we exist. Well, these people are just as certain that they don't, so it makes you question about perceptions that arise in the brain. And somehow, in this case, the delusion is so complete and so convincing that you really cannot shake the conviction that they're dead. GROSS: One of the patients who had this told the doctor who you were interviewing that she had no teeth and no uterus and that she's certain that she was dead. And when presented with visual proof that she had teeth, that didn't - that didn't convince her. How rare is this? ANANTHASWAMY: The Cotard syndrome is very rare. There are just a few hundred recorded cases in the literature, so it's not that common. And it's a very extreme situation in which people are actually very, very depressed. There was a French psychiatrist I met who described, you know, the nature of depression that people with Cotard's suffer from. He drew me a line diagram in which he started by pointing that out, OK, on the left side, you know, there's normal, there's sad, melancholy, depressed, very depressed. And then he drew a series of darts. The scale was not linear anymore. And on the other end of that scale he put Cotard's, saying that it's really - you know, people with Cotard's are so depressed. He had a way with words. He said it's like having a great black wall from here to the planet Saturn, and you can't look over it when you're suffering from Cotard's. So it is a - it's an extreme condition, in that sense. GROSS: What has imaging of the brains of people who have Cotard's revealed about the cause of it or, you know, what happens to the brain that causes somebody to believe that they don't exist? ANANTHASWAMY: So I think that the first caveat we need here is that there are very few brain imaging studies of patients with Cotard's. It's very hard to get them in a scanner when they are suffering so much. But saying that, though, in the last couple of years, there have been two or three cases that have, you know, turned up some evidence as to what's happening in the brain. And what it - what seems to be happening is that there is a network in the brain that's responsible for internal awareness - awareness of our own body, awareness of our emotions, awareness of our, you know, self-related thoughts. And in Cotard's, it seems like that particular network is damped down. In some sense, their own experience of their body in all its vividness and experience with their own emotions in all its vividness - that's compromised very severely. So in some sense, they're not feeling themselves vividly. It's as simple as that, but then there's also something else that is - that's happening in their brain. It seems like parts of the brain that are responsible for rational thought are also damaged. So first of all, what might be happening is a perception that arises in their brain, saying that they're dead because they're not literally perceiving their own body and body states and emotions vividly. And then that perception, irrational though it is, is not being shot down because other parts of the brain that would - you know, that have been able to rationalize and say, OK, no, this is silly - they're unable to do that, either. GROSS: But this means - doesn't it? - that there's, like, a part of the brain that is responsible for us comprehending that we exist? ANANTHASWAMY: Yeah, and existence could simply be, at some level, the vividness of our experience. So maybe we just equate existence to feeling our emotions, feeling our body, feeling the environment in all its vividness. And when that vividness, for some reason, goes away, then the brain just maybe - I mean, this is, at some level, a bit of speculation - but maybe that's what the brain is doing. That - oh, it's not vivid anymore. It must be because, you know, one doesn't exist. And so in some sense, existence is, you know, being able to really relate to the body, to the environment, to all the senses really sharply. GROSS: If you're just joining us, my guest is science journalist Anil Ananthaswamy, and his new book is called "The Man Who Wasn't There: Investigations Into The Strange New Science Of The Self." Let's take a short break, and then we'll talk some more about what neuroscience is telling us about the creation of the self. This is FRESH AIR. GROSS: This is FRESH AIR. 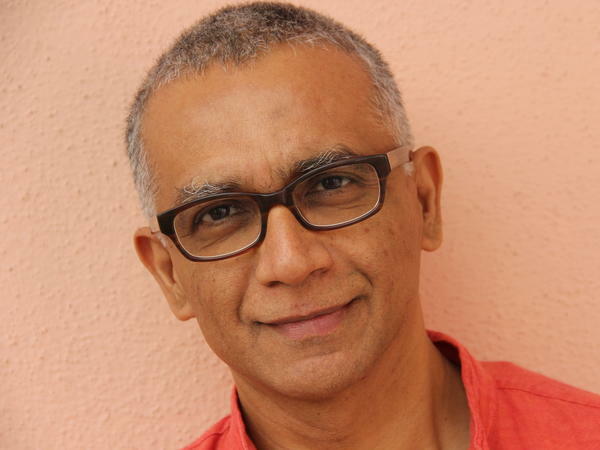 And if you're just joining us, my guest is science journalist Anil Ananthaswamy. His new book is called "The Man Who Wasn't There: Investigations Into The Strange New Science Of The Self." And he looks at several, both common and rare, mental and cognitive conditions and what neuroscience is learning about those conditions to reach larger conclusions about what we're learning about the self and the creation of the self. There's another disorder you write about called body integrity identity disorder. And this is when you don't believe that a part of your body is really yours. Like, you believe that, for instance, a leg might be alien or that an arm really isn't an actual part of your body. And sometimes people with that condition actually want the limb in question to be amputated. Some people try to amputate it themselves. Some people beg doctors to amputate it for them. What else - how else would you describe this disorder? ANANTHASWAMY: I think you've described it well. I - it really is a very disturbing condition in the sense that, you know, it's not something you would normally ever experience. Right now, if I look at my hand or if you look at your hand, there's no doubt in your mind that that is your hand. Now imagine if you looked at your hand and it didn't feel like yours, and it didn't feel like yours for 20, 30 years. It could be a very debilitating thing. And it seems to be like that for people experiencing or suffering from the BIID. And, you know, they do take extreme measures to - it's basically a mismatch between the internal perception they have of their own body and the physical body. And what's intriguing and interesting in terms of the self is that what is most important for our sense of self or our bodily self is the internal perception of it. You know, you can look at your body and you can see your hand or leg that is fully functional. And yet, if it doesn't feel like yours - the feeling is the much more important part of oneself, not the fact that you can see it and you can function with this leg. GROSS: You met a patient who wanted to have one of his limbs amputated. It was his leg, I believe. ANANTHASWAMY: Yes, it was the leg. GROSS: And so you talked to him before the operation, and you talked to him immediately after the operation. Would you tell us about those conversations? ANANTHASWAMY: Yeah. I think, you know, I talked to him a few times before the operation, trying to find out, you know, what it was really that he was suffering from. And he really felt like this leg - part of his leg was not his. It was - you know, it was really something he didn't want. He would try a whole range of things to make it seem as if he didn't have it. He would fold his leg and pretend it wasn't there. He would push it to one side. I mean, it really seemed to ruin his life. And I remember asking him once, you know, so what does it exactly feel like? And he says, it feels like my soul doesn't extend into that part of my leg. And that's the kind of language that most people who say they are suffering from BIID would kind of use. They really feel like that body party is not theirs. And, you know - and one way to kind of understand what might be happening in BIID is actually to look at the converse problem. You know, most people by now will be really well aware of this phenomenon called phantom limbs - when you actually have an amputation, say, because of some unfortunate accident or infection and you lose an arm or leg. Many people continue to feel that the limb still exists. And some people even feel pain in that imaginary limb. And what that's telling you is that what you're perceiving as your limb is actually some representation of the limb in your brain, not the physical limb because after an amputation, the physical limb is actually gone, but you're still perceiving it. GROSS: So when you visited the patient who had part of his leg removed - and you visited him after the amputation - he didn't have any regrets. ANANTHASWAMY: No, that was the amazing thing. I saw him within about 12 hours after his amputation. And I remember talking to the doctor who said, you'll be surprised. And normally, when - so this doctor was an orthopedic surgeon, and he - you know, he does routine amputations for people who have, you know, have had accidents or who need amputations in the regular course of their treatment. And most people who lose a limb because of some injury, they are very depressed after such amputations. And the doctor said that you'll be surprised at how different a BIID patient will be after having a leg or arm amputated, and that was indeed the case. I mean, within 12 hours, this patient that I saw, he was sitting up and, you know, there was no regret. I mean, he really seemed fine with having given up his leg. GROSS: So the man who we've been discussing who had part of his leg amputated because he just didn't believe that it was his, he thought it was alien, and he just wanted it removed. Once he had it successfully removed, was he aware of its absence? Did he miss it? Did he notice that he couldn't walk the way he used to, that he needed crutches? You saw him right after the surgery. And I don't know if he's gotten a prosthetic since then, which really wouldn't be part of his body (laughter). But, you know, he needed crutches to walk. He knew that there had been some kind of change and that he - there was an absence, that he couldn't walk. ANANTHASWAMY: So this is the paradox of that condition, is that people will say that they feel complete and whole after they have lost that limb that wasn't theirs. So they're well aware that they're going to be disabled. They don't have any doubts about that. In fact, they spend quite a lot of time before they actually do the amputation pretending to not have a limb. They will crutch before they actually get the surgery. They will tie up their leg so that it feels like a stump and walk around and practice. And so it's very much an issue of something inside them saying that their body should not have this limb and the mismatch that they can see between having a limb that is not theirs and the way they feel about themselves internally. Once that limb is gone, somehow they feel complete. And it's really something that people who don't suffer from it will find very hard to understand, as do I. I mean, I - you know, I cannot fathom what that must be like. And we have to take their word for how it feels within themselves. GROSS: So what are the ethical questions now surrounding whether a doctor who's treating somebody who believes that a leg or an arm isn't really theirs and they want to have it fully or partially amputated? ANANTHASWAMY: There are - I think there are serious ethical questions. The doctor that I talked to who did this particular amputation is convinced that the people that he treats are suffering. They are suffering psychologically, and he thinks it's his duty to relieve them of their suffering. Now, you can also talk to doctors who believe completely the - who see it the other way around, that here's someone with a perfectly healthy limb, a functional limb, and that they would be harming them by doing the amputation. So the debate is ongoing. It's not at all resolved. BIID is not a medically recognized condition, so research is - you know, funding is difficult to get. So until people actually sort out, you know, what the neurological underpinnings - if they are - if that's the case - are and what the subjective experiences of these people are and how much of that is, you know, so to say, in the mind versus something real. All of these things are to be thrashed out. And until that happens, you're going to have these sort of situations where people will take matters into their own hand. GROSS: So what does body integrity identity disorder tell us about how the brain and body create a sense of self? ANANTHASWAMY: So I think what this is telling us really is about the bodily self, the idea that, you know, when you close your eyes and you have a sense of your own body, you don't have to see it. You have a sense of the body. And what BIID is telling us is that the sense that we have of our own body is actually - we are perceiving the information in the brain. And if everything is working well, that information, those maps in the brain that the brain has created off the body, they will match the physical body. And so in reality, you are perceiving your physical body. But in situations where there's a mismatch, for some reason the map in the brain for a certain part of your limb hasn't quite developed the way it should, but your physical limb has actually developed properly. And that mismatch leads you to perceiving your bodily self in a very different way. So this is telling you that the brain is actually constructing the sense of the bodily self, you know, moment by moment. And you can do experiments in labs where you can disrupt this sense of bodily self. You can - for instance, there's a very famous experiment called the rubber hand illusion, where you can make a person take ownership of a rubber hand instead of their real hand. And so it's telling you that this process - it's a process in the brain, and it's happening moment by moment, and it's very malleable. And it doesn't always correspond to reality. And the other thing that, you know, BIID and conditions like this tell us is that the self - the perceiving self, the thing that is experiencing all this, is somehow more fundamental than something like body ownership. So you can experience being someone who owns all the body parts or you can be someone who has a feeling that, oh, this part of my body is not mine. So there is something behind, in some sense, that is the experiencing entity that is able to experience both either ownership of a body part or a lack of ownership of a body part. So it raises questions about who or what that entity is, who or what is that I that says I don't own this leg or I own this leg. So it just pushes that question further and further. GROSS: My guest is Anil Ananthaswamy, author of the new book "The Man Who Wasn't There: Investigations Into The Strange New Science Of The Self." We'll talk about Alzheimer's disease and what that tells us about the sense of self after we take a short break. I'm Terry Gross, and this is FRESH AIR. GROSS: This is FRESH AIR. 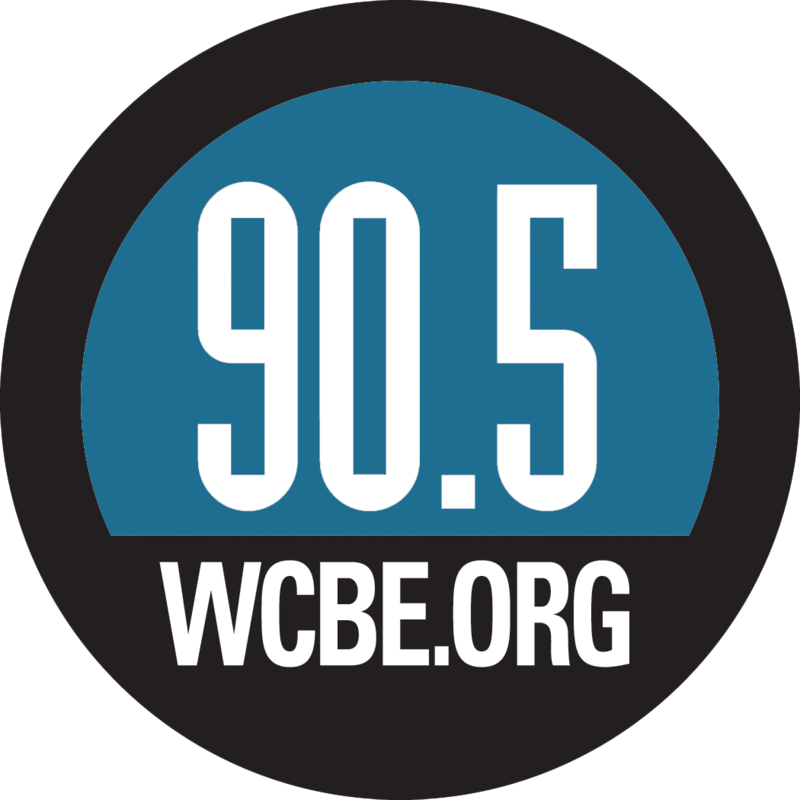 I'm Terry Gross, back with science journalist Anil Ananthaswamy, author of the new book "The Man Who Wasn't There: Investigations Into The Strange New Science Of The Self." It explains what neuroscientists are learning about the sense of self from people with cognitive and mental conditions that distort the sense of self, including Alzheimer's disease, schizophrenia and lesser-known conditions like Body Integrity Identity Disorder, or BIID. People with BIID believe that a part of their body - for instance, a leg or an arm - isn't really theirs. Some people with BIID try to get the alien body part amputated. You mentioned the rubber hand illusion, and you actually participated in this. Just describe what you experienced - like, what this experiment is and what you experienced. ANANTHASWAMY: So the rubber hand illusion is actually a very simple experiment. It's something you can do at home. Just, you know, go on to Amazon, order a rubber hand, which, you know, you can for $5, and what you have to then do is sit on a table, put your, say, your left hand on the table, put the rubber hand near you, put a screen between the rubber hand and the real hand so that you can't see your real hand. And then have someone stroke with two paintbrushes both the rubber hand and the real hand simultaneously in exactly the same speed at exactly the same spots on your fingers. The caveat here is you have to be watching the rubber hand. So now what's happening is you're getting two sensations. One sensation is the sensation of touch that the paintbrush is making on your real hand, and the other sensation is the visual one. You're watching the rubber hand being stroked, and it's amazing. For most people, about two-thirds of the people who undergo this experiment, within about two minutes they will start feeling the touch at the location of the rubber hand instead of on the real hand. And it's a very, very shocking feeling to experience because suddenly you'll - it's just something you can't comprehend rationally, but it - you can't stop it. You know the rubber hand is a rubber hand. You know your real hand is being touched with a brush. All of that cognitive knowledge doesn't help. Your brain will take ownership of the rubber hand, and it'll make it feel like it's yours. GROSS: So what did that tell you, and what does that tell neuroscientists? ANANTHASWAMY: So again, it's telling us that when it comes to constructing a sense of the body, the brain has to integrate a whole range of sensations. So in this case, we were talking of vision and touch, but actually there's - it's a whole lot of other things that the brain is trying to put together. There's proprioception, which is the sense you have of your body in three-dimensional space. There is vestibular sensations, which is your - which gives you your sense of balance. There's touch, vision, sound - all of the sensations that are coming from either outside or from within the body, the brain has to integrate all this to create your sense of being a body. And if everything is working correctly, then this - what they call multisensory integration - creates your bodily self. Now you can mess with that, and all it's - what it's telling you is that what you perceive is really a whole bunch of information processing that is going on in the brain, moment by moment, and you can disrupt it. GROSS: Let's take a look at Alzheimer's disease. Now, this is a very common condition now in which people slowly get erased, in a way, in the sense that their memories are erased. Their sense of who they are, who they've been, is erased. How does that relate to the question you're asking about how we construct a sense of self, how our brain and body construct it? ANANTHASWAMY: So Alzheimer's disease, as you say, unfortunately, literally erases a very important part of our sense of self, which is the narrative that we have in our heads about who we are. And this narrative is something that the brain constructs and we're not even aware that it's actually a constructed thing. When, you know, when we just think of ourselves, we have this expansive narrative inside us about who we are. And what Alzheimer's unfortunately does is it, A - puts a stop to the narrative forming. So because short-term memory formation is impaired, it becomes harder and harder for a person with Alzheimer's to start having new memories. And once you stop having or forming new memories, these memories don't get incorporated into your narrative. So, in some sense, your narrative stops forming. And as the disease progresses, it starts eating away at the existing narrative. It starts basically destroying a whole range of memories that could go towards constituting the person that you are. But in terms of, you know, talking about the self, what this is telling you is that the self is multilayered. That it - there's a narrative component to it. And what Alzheimer's seems to be doing is destroying the narrative component to the point that, you know, the person really cannot recognize anyone. We don't know - when a person with Alzheimer's is at the end stage of the disease, we have no way of communicating with them. So when you hear language about, oh, there is no one in there, or there's no self in there or this person has completely lost himself or herself, that's language that's coming from caregivers, from people who are looking at the person from the outside and inferring the loss of a self. Now, we really don't know what the situation is from the perspective of the person suffering from Alzheimer's, especially late-stage Alzheimer's. GROSS: Let me switch to ecstatic experiences, and what they have to tell us about the sense of self. And you write about ecstatic epilepsy, and this is a certain type of epileptic seizure which I'd like you to describe. ANANTHASWAMY: So ecstatic epilepsy, or ecstatic seizures, are what we call focal seizures, so they are happening in a small part of the brain. They don't knock you unconscious, unlike grand mal seizures, which would overwhelm the cortex and you would lose consciousness. Ecstatic seizures, as the name suggests, are seizures that make the person who's experiencing the seizure ecstatic. They - if you listen to them describe their experiences, they talk about feeling joy, bliss, a feeling of well-being, physical and mental well-being. Their sense of time slows down. They have a sense of certitude about everything around them. One of the persons I talked to who has - who had these seizures would talk about how he would look at everything around him and it would seem like everything was in place the way it should be as if there was a divine force behind it. And also the other thing that happens is there's a very heightened sense of your own body and your sensations and your environment. So - and it's - there's a strange paradox that happens here where they are saying that they feel their bodily self, their environment, very intensely. And yet, something about the boundary between themselves and the outside world disappears where they feel like they're one with something larger, with the universe. So as I'm describing this, it'll probably - to many listeners it'll be very obvious that we might be talking about mystical experiences, and it does have mystical overtones. The slowing down of time, the vividness of, you know, your perceptions, the sense of certitude, the sense that there is some divinity behind, you know, what you're perceiving - all these things are exactly what's happening in ecstatic epilepsy. GROSS: If you're just joining us, my guest is science journalist Anil Ananthaswamy, and he's the author of the new book "The Man Who Wasn't There: Investigations Into The Strange New Science Of The Self." Let's take a short break. Then we'll talk some more. This is FRESH AIR. GROSS: This is FRESH AIR, and if you're just joining us, my guest is science journalist Anil Ananthaswamy. His new book is called "The Man Who Wasn't There: Investigations Into The Strange New Science Of The Self" and it looks at the question what creates the self. And it looks at that through examining what neuroscience is learning through studying rare and extreme mental and cognitive conditions. Have you ever experienced extremes of consciousness, intentionally or unintentionally? ANANTHASWAMY: I would have liked to, but, you know, just to know what it's like. But no, it's my understanding of a lot of this is intellectual and it would - you know, it would be something to be able to experience. I have meditated, but not with the necessary intensity or, you know, not for enough of a length of time to have come to a point where I can appreciate what these things might mean. GROSS: Have you experienced extreme self-consciousness, the kind of self-consciousness where you're almost narrating everything that you are doing and thinking and feel like you almost exist outside of your body and that you're, you know, you're a character in your own story? ANANTHASWAMY: I didn't want to say that (laughter). ANANTHASWAMY: I think - yeah, no, I haven't really experienced extremes of that either, but I've experienced probably more of self-consciousness or, you know, self-consciousness in a social setting, self-consciousness in terms of being so hyperaware of your own thoughts and stories and narratives that it can actually become a little too much. Yes, I have experienced that rather than, you know, say, an ecstatic state of consciousness or some other kind of dissociation. GROSS: You have a cousin who died of a brain tumor not long ago and he had the kind of dissociative experience as a result of his brain tumor, the kind of experience that you describe in your book. And do you want to describe the experience that he had? ANANTHASWAMY: Yeah. He - very sadly he passed away. He was just in the 30s. He had a brain tumor and he was driving to work one day when he pulled over - this was in New Delhi. He pulled over and called his mom to tell her that he was seeing another - another himself, I mean, a duplicate, who was in front of him and that this duplicate was also experiencing emotions. This duplicate was sad about the life that had passed, and so my cousin really - actually it's my cousin's son - so my cousin's son, he really got frightened because, you know, it's - very rarely would anyone experience having another you in front of you with whom you're having some sort of interaction. And this - in literature, this is called a doppelganger effect and it's actually pretty well-explained. GROSS: What did his neurologist have to say about it? ANANTHASWAMY: I think his neurologist just attributed it to, you know, seizures and - because he was having seizures because of his condition, so they just increased the medication, and they didn't do anything more about it. And it didn't occur that many times. I think it might've happened one or two more times, but sadly he passed away not long after that. GROSS: Were you already writing your book when he had that experience? ANANTHASWAMY: Yeah, I didn't know about his experience when I had already began writing my book. And I was actually - I had gone to meet my cousin after her son had passed away. And that's when she told me about this. And at that point I said, well, you know, this is something I'm writing about. Will you be willing to talk about it? And she agreed. GROSS: So you live part of the time in Berkeley, Calif., and the other part of the time in Bangalore, India. You grew up in India, but not in Bangalore. What are some of the biggest cultural conflicts going back and forth between those two places? ANANTHASWAMY: (Laughter) The way my sense of self feels, interestingly, because India is a much, much more crowded place for one. I mean, you know, your sense of your private space is very different, and it's a much less individualistic society in some sense. You know, people are very much a part of your life whether you like it or not. And so the way you perceive your own self, which, in this context, would be your cultural, social self along with your private, you know, private self, bodily self, narrative, all of those things - those shift. Those shift in very interesting ways as I move back and forth. I tend to feel my boundaries, my psychological boundaries, a little more intensely when I'm in the U.S. and a little less so when I'm in India. I'm - I mean, I'm definitely a product of both places now 'cause I grew up in India, but my adult life has been spent in the U.S. But I can definitely see and feel the transition to my own sense of self as I move back and forth. GROSS: You had been a software engineer before becoming a science journalist. Why did you change and what was being a software engineer not giving you that you wanted? ANANTHASWAMY: (Laughter) I was not satisfied in some really visceral sense with software. I mean, I enjoyed the technical challenge of writing software. I was in a very nice, small company here in Berkeley doing that. But at the end of the day, I did not find meaning in it somehow. And writing was pulling me. I really felt like I wanted to write in order to pay attention to the world. I kept feeling like existence is slipping away and I can't make sense of it, and software was definitely not helping me make sense of it, so I chose writing. I mean, I always liked writing. I hadn't done too much of, but as I made the transition, I realized that writing for me is really my way paying attention to the world because I live too much in my head otherwise and I tend to just, you know, walk around without paying attention. And by forcing myself to write about things, I'm simultaneously forcing myself to pay attention to things, and so far it's working. GROSS: How has it changed you as a person to be paying attention like that and to be investigating the really big questions of outer space and innerspace? ANANTHASWAMY: I think - I think it's made me a quieter person in some sense. I think it grounds me in ways that something like software would never have. And I just feel that paying - you know, when I think of what meditation is, for instance, in some very basic sense it's about paying attention. And writing to me is doing that. It's - by paying attention to whatever is happening within me outside of me to the broader culture because you're writing about things that are happening in the culture, you're really just participating in the world in a much more visceral way than if I were not doing that. I mean, this is very specific to me of course. I mean, given - there are people who pay attention and who live these wonderful lives without writing about it. I was never capable of that, so writing has actually forced me to do that. GROSS: Well, I want to thank you for your writing, and thank you so much for talking with us. ANANTHASWAMY: It's been my pleasure, Terry. Thank you very much. GROSS: Anil Ananthaswamy is the author of the new book "The Man Who Wasn't There: Investigations Into The Strange New Science Of The Self" Coming up, our rock historian Ed Ward profiles bluesman Slim Harpo, drawing on the recent release of a box set of his complete recordings. This is FRESH AIR. Transcript provided by NPR, Copyright NPR.